Almost everyone is carrying a smartphone today. 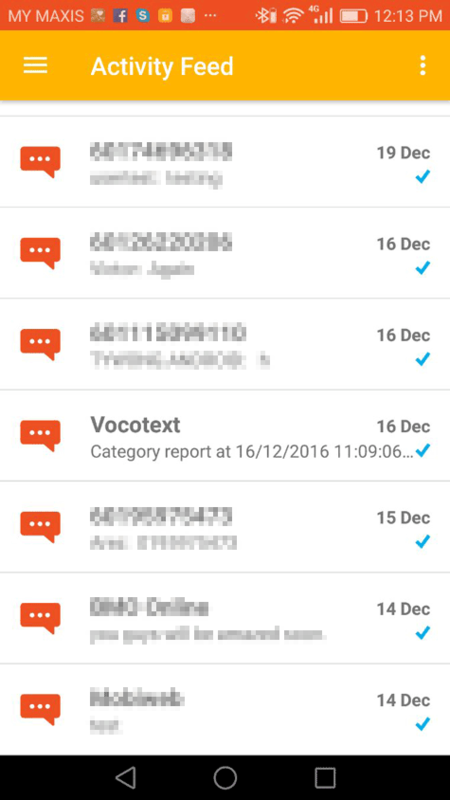 Our POS is capable of pushing instant messages to your phone everyday, sending POS reports. 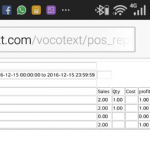 The POS report can be configure to send message to “Vocotext”. 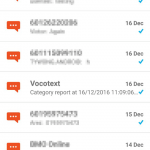 VocoText is an instant messaging platform similar to “Whatsapp”. 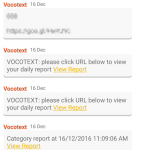 User can install the Vocotext for android from google play or Vocotext for iPhone from App Store. 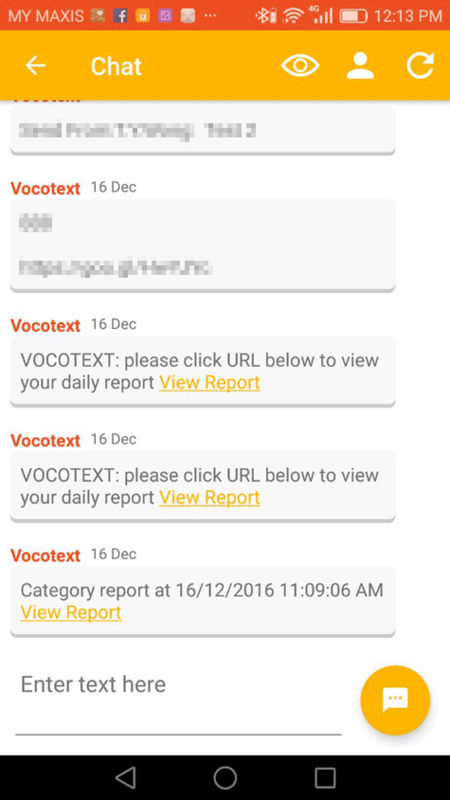 One you have installed the Vocotext, you can now set up for instant messaging report. 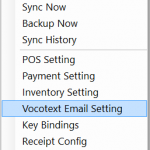 Insert your Vocotext username and password into the form, and the destination number. 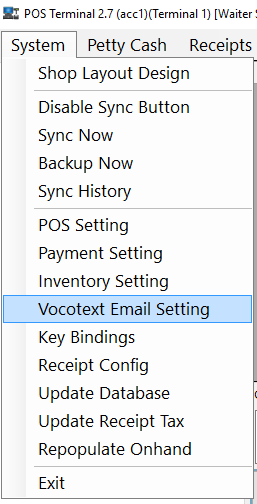 The destination number have to be Vocotext enabled. 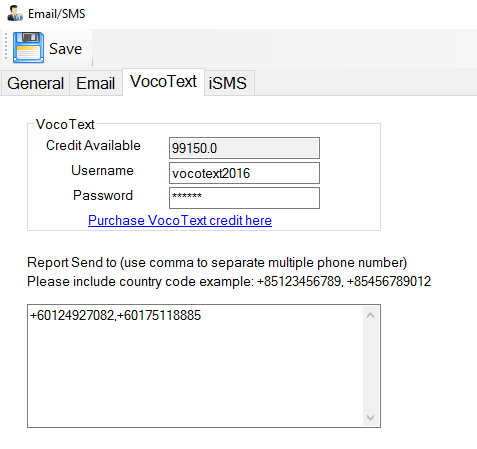 However, if Vocotext is not available, the report will be sent through SMS. 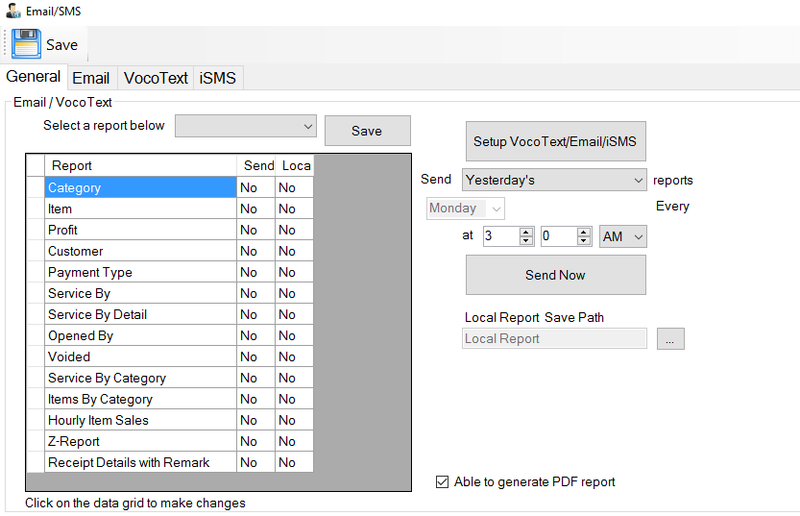 Once you have done the setting, choose reports that you want to send to email, and Vocotext. 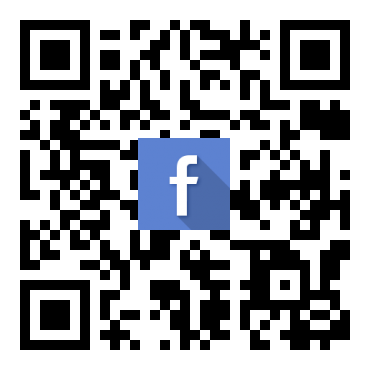 The report will send to your phone or email on the time. 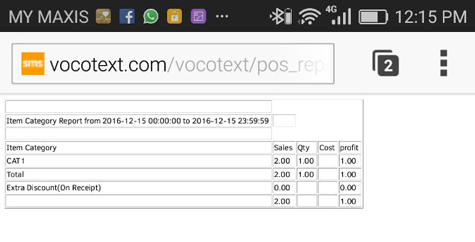 Viewing the report in Vocotext.